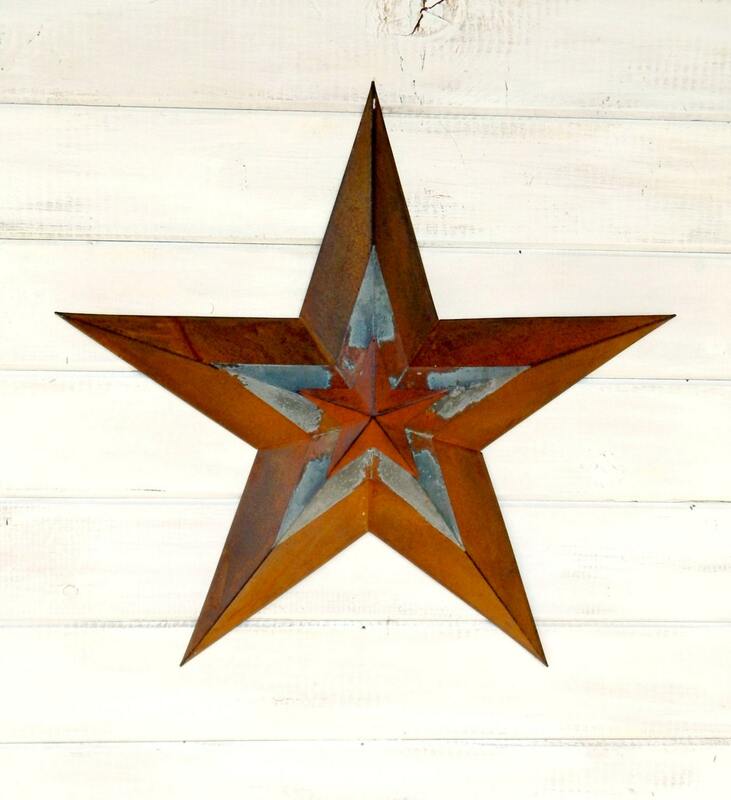 Our NEW Collection of BARN STARS!!! Our Americana Stars are a great country accent for both the 4th of July or year-round! 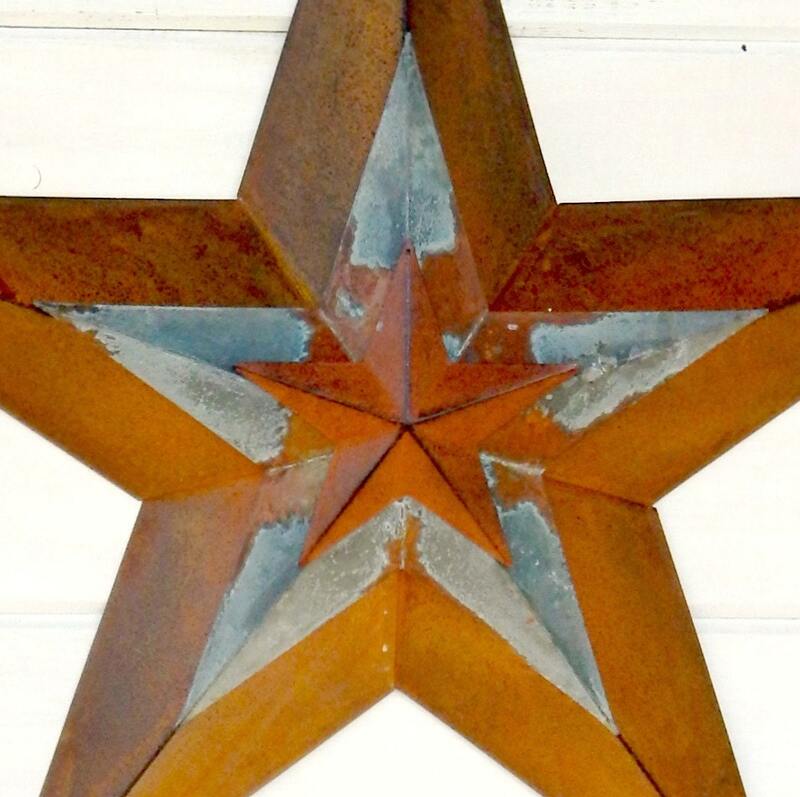 Dimensional 24" diameter barn star with a distressed Silver and rusty brown.This metal star has pre-drilled hole for adding your own hook, ribbon or hanger. Perfect wall hanging in your home or for your front door, porch or entry way!! THREE Layers of tin stars to give you a 3 Dimensional Look. ***Don't forget this would make a great Birthday, House Warming or Wedding Gift! I will ship directly and include a gift card if you like.